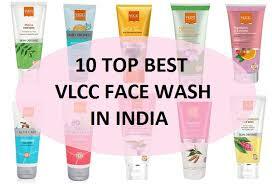 VLCC, a globally renowned brand in beauty and wellness industry, today announced its foray into the fast growing nutraceuticals industry with the acquisition of the Direct Selling business of Wellscience, a Gurugram-based company that offers a comprehensive range of high quality nutraceutical supplements and personal care products catering to customer requirements across age groups.To be rebranded VLCC Wellscience, the company’s products are all Ayurvedic or herbal and address condition specific wellness needs of customers, using an innovative Active Identifiable Marker (AIM) technology. “VLCC is already present in the FMHG segment with its VLCC Slimmer’s range of fortified/functional foods and expanding to nutraceuticals and cosmeceuticals is a natural extension our products business”, Mr. Luthra further added. Wellscience was established in 2009 by a team led by Lajinder Bawa. He will continue to lead the business as the CEO of VLCC Wellscience. A 20-year veteran of the Direct Selling Industry, he is credited with having brought it to the country when he became the founding CEO of Oriflame India in 1995. He has also been an advisor to leading Direct Selling players, including Modicare and Hindustan Lever Network. Within the overall FMCG domain in India, the FMHG segment is one of the fastest growing. According to a 2015 Assocham-RNCOS study, this segment is likely to touch US$ 6.1 billion by 2020 from the current level of US$ 2.8 billion, growing at a compounded annual growth rate (CAGR) of 17 per cent. More specifically with respect to the nutraceuticals market in India, it is expected to double to INR 267.64 billion by 2020 and grow at a CAGR of 16% over the next 5 years, as per a recent study by the Drug Marketing and ;Manufacturing Association (DMMA). Furthermore, the Health and Wellness products market in India through Direct Selling is estimated at over Rs 35 billion, contributing 47 per cent share to the total Direct Selling market.